OTTAWA, Canada -- RCMP forensic expert worked to match victims’ identities with remains found at the crash scene of Malaysia Airlines flight in 2014. 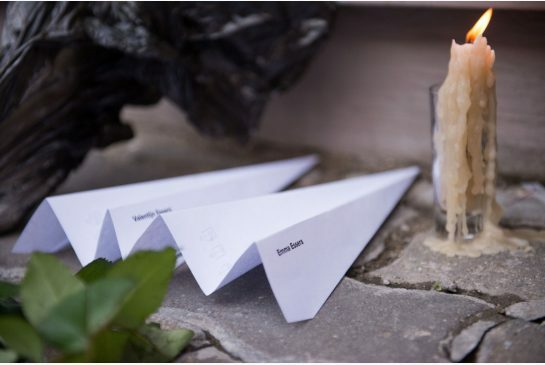 Paper planes lie in front of the Dutch embassy in Moscow as a tribute to passengers killed in the 2014 crash of Malaysian Airlines flight MH17. A year after a crashed in Ukraine, killing 298 people, sorrow runs deep and many questions linger. RCMP Insp. Tony McCulloch, a forensic expert, helped shattered families begin healing in the days after the disaster by assisting with the grim task of matching names on the passenger manifest with human remains. The plane, heading to Kuala Lumpur from Amsterdam, came down in strife-ridden eastern Ukraine near the Russian border. It carried 196 Dutch nationals, sending a country into mourning. Many believe a missile or other hostile weapons-fire downed the aircraft. The Dutch Safety Board continues to investigate. Soon after the crash, RCMP liaison officers abroad were in touch with counterparts in the Netherlands, Malaysia, Australia and the United States — closely monitoring developments to see if Canadian assistance was required. A lone Canadian was killed, and although the Netherlands had an advanced disaster victim identification program, it reached out through Interpol to other countries touched by the crash, McCulloch said in an interview. On July 27, McCulloch was dispatched to the Dutch town of Hilversum where the chore of identifying bodies was underway at a military installation. “They were very quick in ramping up their efforts,” McCulloch said. A key element of identification involves gathering sufficient information about a victim from family members and sometimes workplaces. That can include the person’s last-known clothing, dental and medical records, fingerprints and DNA from a toothbrush or hairbrush. At the same time, human remains are catalogued with these details in mind to help make comparisons and positive identifications. A little later, DNA information, which takes time to process, begins to become available. McCulloch set to work in the Dutch operation’s “reconciliation unit” — attempting to match victims’ data with information found at the crash scene. The Interpol match protocol requires positive identification through fingerprints, dental records or DNA, but investigators usually like to use a personal physical trait — such as a tattoo or medical implant — to corroborate a finding, said McCulloch, the RCMP officer in charge of national forensic identification support services. The Canadian victim, medical student Andrei Anghel of Ajax, Ont., was identified promptly, McCulloch said. In another case, a Dutch woman died on the plane with her three daughters, he recalled. McCulloch’s examination of the database investigators had built led to positive matches — the sort of discovery that helps give a measure of comfort to a family amid overwhelming sadness. All but two of the passengers have since been identified. McCulloch also lent his expertise abroad after Typhoon Haiyan devastated the Philippines two years ago. He and another RCMP colleague joined an Interpol team that toured disaster areas and made recommendations. Collaboration with international colleagues is an important element of disaster victim identification. For instance, McCulloch said, France and Japan have become adept at working in environments contaminated by radiation. “It really is international in scope and we benefit from those relationships because it allows us not to not have to reinvent the wheel,” he said.